These 9 first day of school printables are the perfect way to capture the excitement of the new school year. Don’t forget to watch the tips at the end for updating printables year after year! You’ve made sure that the backpacks are still in good condition, the school supply list is checked off. Lunches are made, with a sweet note inside, and then it’s time to go. What will the new school year hold? Will your kids be in the same classes as their friends? Do you even want them to be in the same classes their friends? Will the workload be too light, too heavy, or just right? The first day of school is a time of new beginnings. And with that comes plenty of excitement. One of the best ways to capture that excitement is with a back-to-school photo. It’s a tradition that my parents started when I was a kid, that I’ve continued with my own kids. But when you look back on those pictures, it can be easy to forget which year you’re looking at. Which is why I love the idea of first day of school printables for kids to hold up as they head off to the new year. The easiest thing you can do is just print off a sign and have your kid hold it up for a photo. If you have time, you can add a couple crafty touches like a cute frame or cork board, but either way these printable signs we’ll have you ready for the first day of school in no time. You know I have a soft spot for party banners and bright colors, which means I love these signs from Savings Lifestyle. The Quiet Grove has not one, but five different first day of school designs to choose from! So, if your Kindergartener likes the bright circles, but your fourth grader prefers the colored pencils, you’re covered! Burlap and Blue pulled together a beautiful farmhouse style chalkboard printable for your little’s first day. Isn’t it just so pretty?? The yellow and red apples on The Momma Diaries’ chalkboard printable sign are super cute, and add a great pop of color! Hooray for more color! I love the combination of the colorful lettering and the dark scroll pattern in this printable sign from Beauty in the Mess. Frugal Mom Eh! makes life easy, with an editable back-to-school printable sign. Download it once and then write in the school year and/or your kids’ name each time. Easy peasy! Want to keep a few more memories than just that first picture? Here are some worksheets and first day of school interviews to make the day more fun. I’m pretty sure I made one of my kids fill out this First Day of School Interview from What Mommy Does at some point in time. I just love how kids get to record the best thing about their first day as well as what they’re excited about for the new year. Or, you can have your child practice a little reading and searching with this back-to-school word search by Superheroes and Teacups. Talk about adorable! The graphics on this back-to-school interview from Life is Sweeter by Design are just too cute. Many free first day of school printables have the school year printed right on them, which is great if that’s the current year. But what if you want to use that design for a different year? 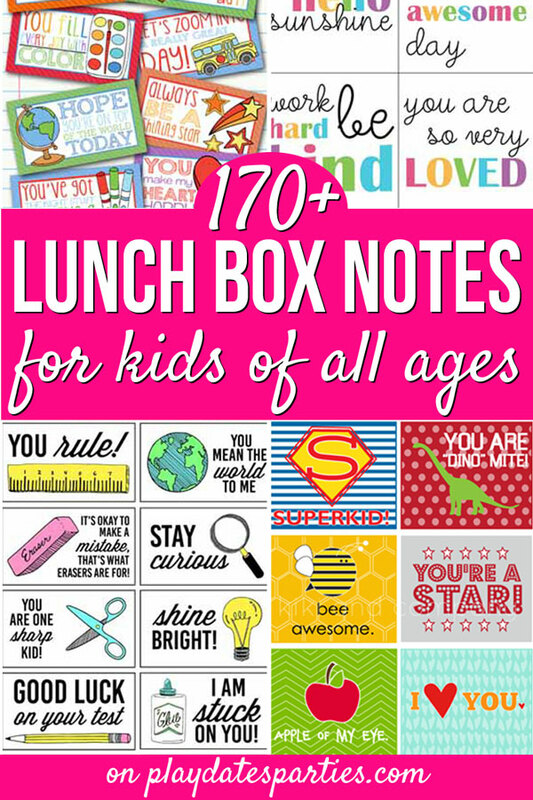 Which of these printables is your favorite? Who’s more excited for the new school year, you or your kids? Great choices for the round up! Love them all! @Lili – You know I love to share free printables! @Kristin – Thanks! I try to include as many as possible…but there are so many popping up these days! @Happy Home Fairy – No problem…your notes are adorable! So fun! Thanks for sharing them wit SYC.